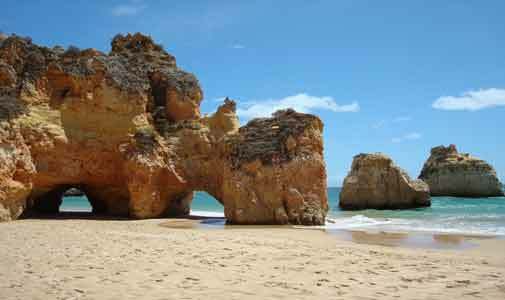 Geography: Northern Portugal has a mountainous landscape with many plateaus, while the southern region, the Algarve, consists mainly of rolling plains. Property: A wide variety of choices is available throughout the country. In the capital, purchase price for an apartment is about $5,150 per square foot, and $2,490 outside city centre. Renting: To stay with the capital example, one-bedroom rentals in city centre average $920 and $590 outside. For three bedrooms, expect $1,700 and $1,000, respectively. Healthcare: Public healthcare is available and accessible to residents (not only citizens), although sometimes there is a minimal $7 to $13) charge for treatment. Private doctors and hospitals are prevalent in urban areas, and private insurance plans are available. Currency: Portugal uses the euro, currently (May 2018) at an exchange rate of €1 to $1.54. Head of State: President Marcelo Rebelo de Sousa (since 9 March 2016). The presidential term lasts for five years, and it’s not possible to hold office for longer than two consecutive terms. Clothing/What to Pack: Portugal is an informal country, although natives tend to dress a bit more fashionably than the sweat suits you’re apt to see in other countries. Of course, in large cities like Porto and Lisbon, you’ll find that’s the case even more so. Spring and summer days usually require only light clothing, don’t forget your sunscreen, and always have a jumper or jacket for cool evenings. In the autumn and winter, especially in the rainy north, you’ll want to wear a coat and keep an umbrella handy. Bottled water is available everywhere, but unnecessary, as water is drinkable throughout the country. Tipping: At a café, tipping is not expected. In a mid-range restaurant, you might simply leave the change after you’ve paid, or if you’ve had exceptional service, maybe a euro or two, depending on the size of your bill. Only in an expensive restaurant or in a Michelin-starred establishment, is tipping really expected. Business Hours: Generally, 10 a.m. to 7 p.m., with an hour and a half to two hours closed for lunch. Hours vary widely, however, so best to confirm when possible.